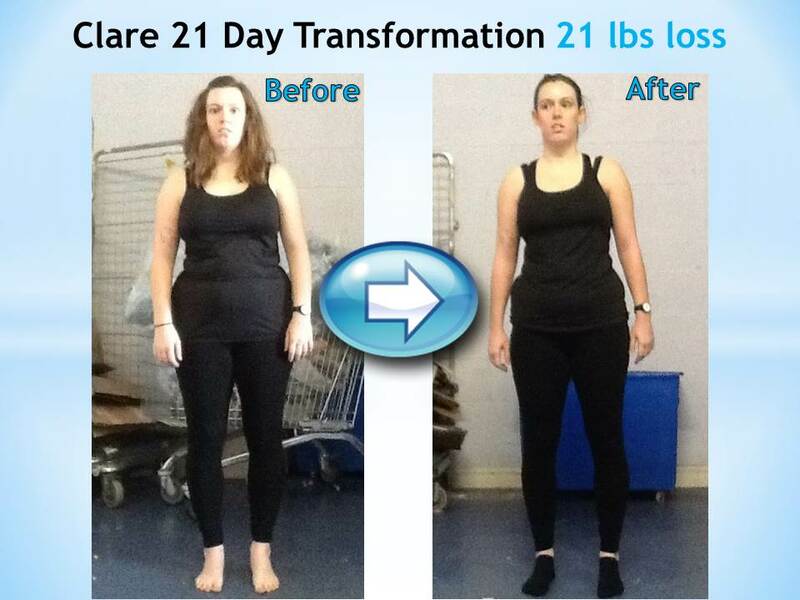 Discover How to Drop a Clothing Size in Just 21 Days or Less GUARANTEED… Without Doing Any EXERCISE! You’ll Lose More Weight Even Faster! Have a special event coming up like a wedding or a birthday and you want to ensure you look your absolute best? 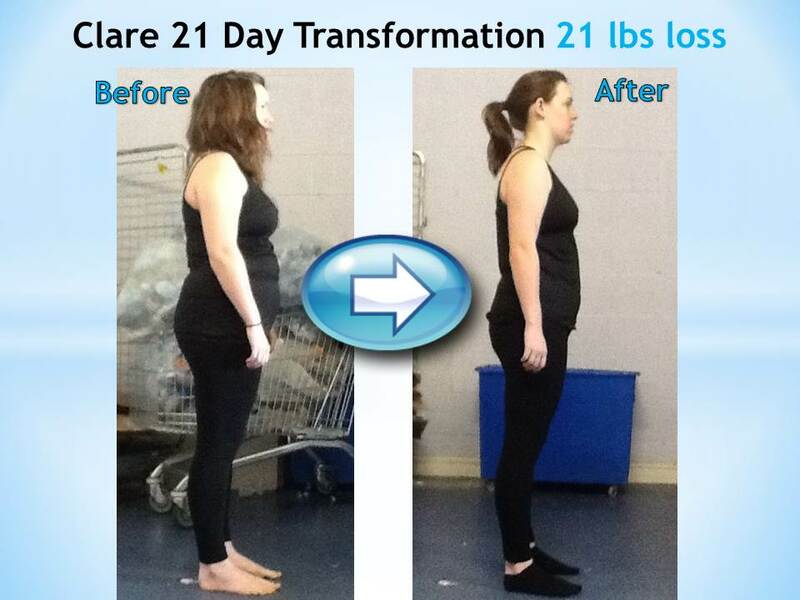 Or maybe you are looking to lose weight and just want to get off to the best possible start? In either case, it’s time you learned about The 21 Day Rapid Fat Meltdown Nutrition Plan! This plan is guaranteed to help you drop at least a clothing size in 21 days even without doing any exercise. However, exercise just three times a week doing simple, easy-to-perform exercises and you’ll lose more weight even faster! Most programs out there that claim to help you lose weight fast are fad diets that are often very difficult to follow and severely restrict the calories you eat. These plans weren’t designed for convenience, they were designed to get weight off fast at basically any cost. So when you go on one of these diets you may lose a few pounds but while you do it you will feel hungry, tired and just plain miserable all the time. Sure their latest fad diet may work for the short term, but as soon as you go off that diet you’ll most likely gain all the weight back! It’s true, you see most of these fad diets mess up the delicate hormone balance in your body so that when you go off the diet you end up putting the weight back on, often with a few extra pounds added on. In fact, the latest studies say that 95% of people who follow a restriction diet gain the weight back and 66% actually end up fatter than when they began! That means unless you are in the minority you are better off never going on a diet in the first place! Before becoming a personal trainer, who has worked on TV and with footballers’ wives, actresses and athletes, I suffered from a weight problem myself. That’s why I’ve created a new type of plan that helps you torch fat and lose weight rapidly while also reducing the chances that you will ever regain the weight you’ve lost. This plan is easy to follow – it doesn’t involve any complex directions, calorie counting, difficult to make recipes or anything like that. You don’t even have to exercise if you don’t want to. However, if you do follow the additional exercise plan you can lose weight even faster. You Can Lose Weight Fast, Too! 12 nutrition tips that will regenerate your body, rejuvenate your mind and allow you to reclaim your life! One 3-week rapid fat meltdown plan that will blowtorch off the body fat and allow you to get the lean body of your dreams while also building your health and detoxifying your body! Lifestyle tips that will help you lose weight faster and feel better sooner! Weightloss tools, including a meal planner and three week-long meal plans! A maintenance plan to ensure your weight loss sticks for the long-term! Easy-to-follow but highly effective exercise programs customised for beginners, moderate trainers and experienced exercisers! This overall program is based on sound nutritional and exercise advice so that you build your health instead of tear it down just to lose a few pounds. With the diet plan you get 3 different weekly protocols that get progressively more effective so you keep losing weight without hitting a plateau – like you can often do with a fad diet that has you doing the same thing over and over again. And with the exercise plan, you get a combination of weight training to increase muscle mass, which speeds up your metabolism and tones the body, and high intensity interval training to burn calories and increase your metabolism. This Program is Not “Extreme” By Any Measure! It’s easy to follow and anyone can do it! & Your Energy & Self-Esteem will Skyrocket! So don’t delay, torch fat the healthy way... get the 21 Day Rapid Fat Meltdown Plan and get on the fast track to having your dream body. Order the 21 Day Rapid Fat Meltdown Plan, try it out and if you are not satisfied with the results simply notify me within 60 days of your date of purchase for a full refund. I don’t think I can be any fairer than that! 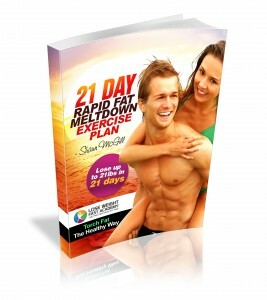 Get the 21 Day Rapid Fat Meltdown Plan today and lose weight or get your money back. Don’t wait any longer, get the rapid weightloss plan that also builds your health and detoxifies your body. Just click on the order now button below to get started.